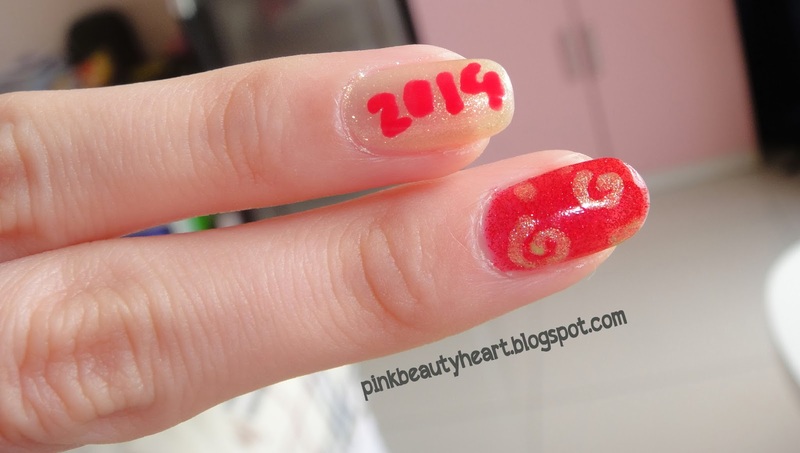 Today I want to share another nail art special for Chinese New Year.... 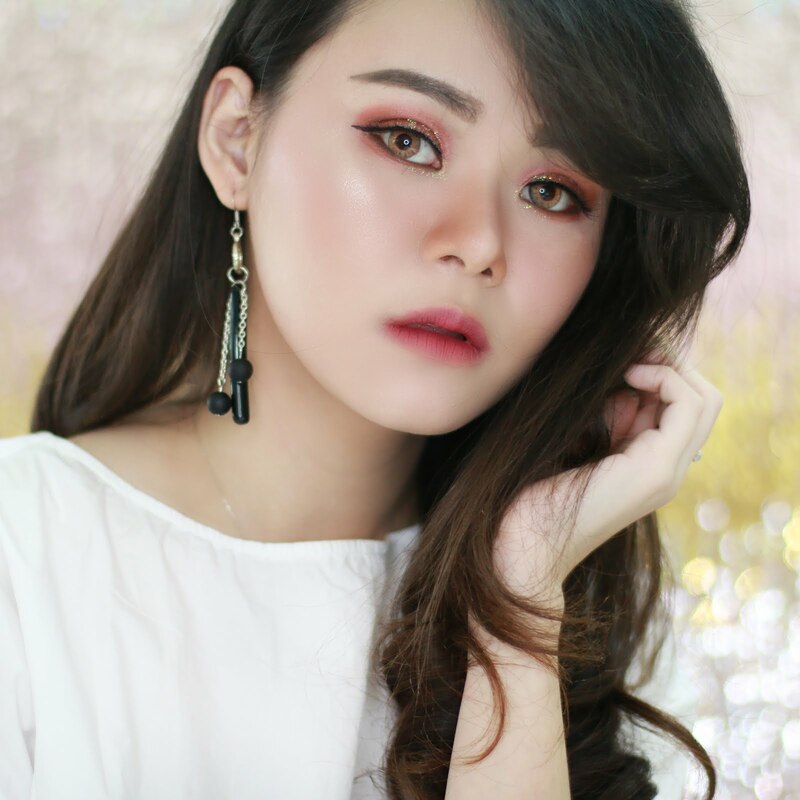 I am sorry that it's a bit late.. but you still can mange to tried this tonight or use any others color which is wearable for everyday use. First of all, I paint my nail with base coat and the basic color. For base coat, I am using Help My Finger from Etude House which is for whitening. For thumb and pinkie using dotting tools create flowers in color creamy white and red. For the white nail polish I am using Holika Holika Magic Pop Nail vivid in white (6865) and for the red nail polish I am using Holika Holika Magic Pop Nail vivid in sensual pink (6825). 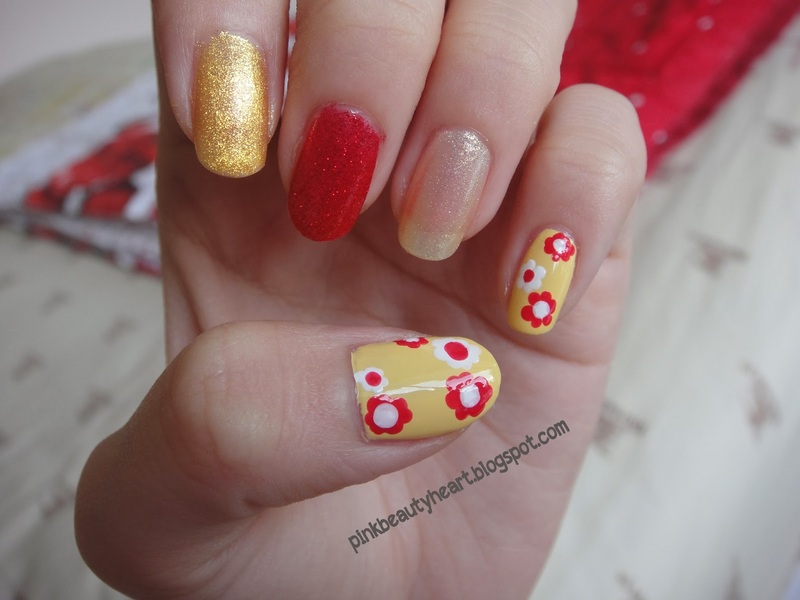 For the point finger create swirling flowers using same red and white nail polish. 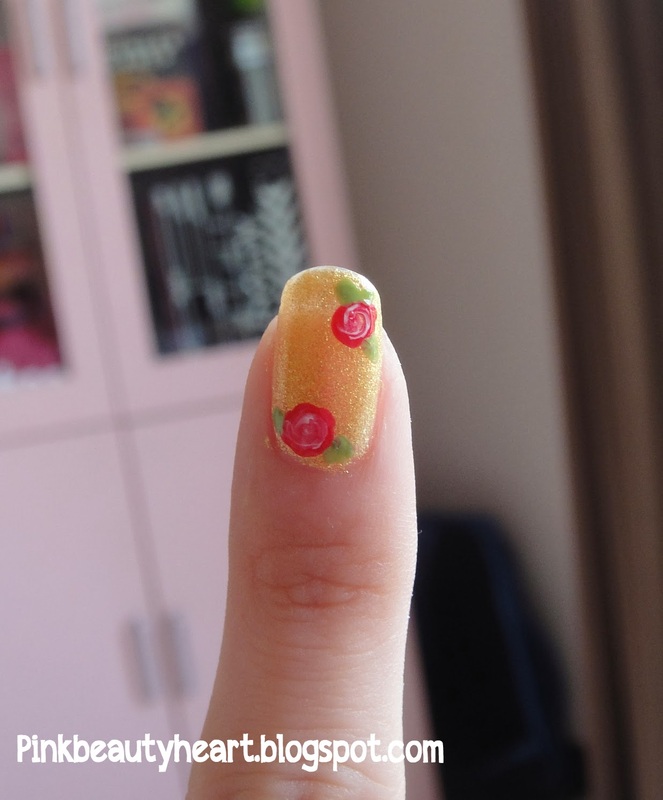 Finish it with small leave using creamy green polish, I am using Holika Holika Magic Pop nail vivid in apple pie (6820). How to make this swirling flowers you can see my video tutorial here. 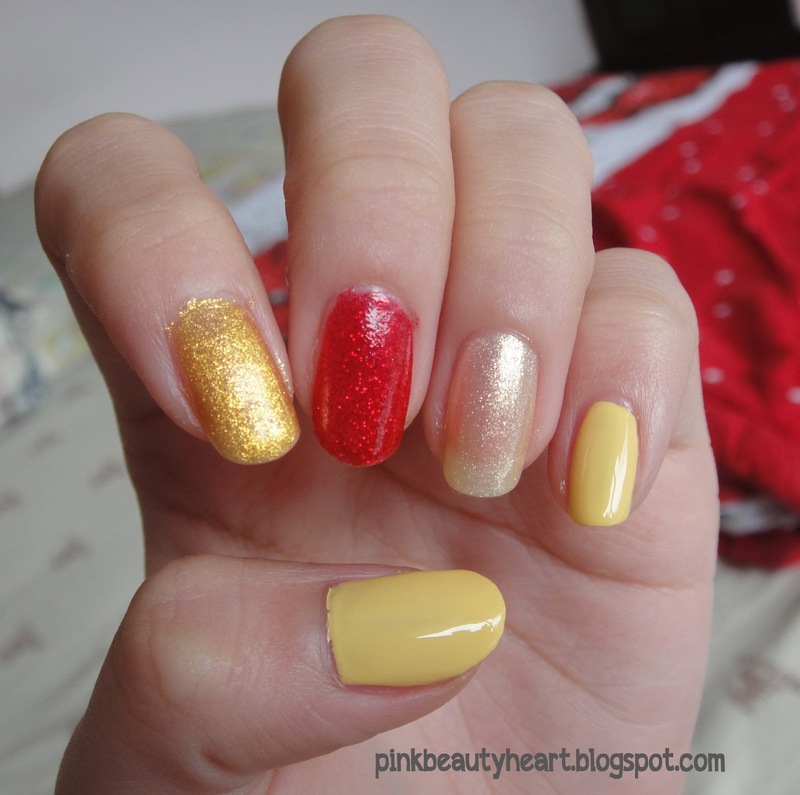 For the middle finger, create a swirling pattern using yellow shimmery nail polish. I using same base color that I use for ring finger. And last, for the ring finger using dotting tools written this year which is 2014. Actually I am a little bit disappointed with the result... please excuse this one. Last step don't forget to finish it with top coat. Here I am using Sally Hansen Dries Instantly top coat. Hope you enjoy this tutorial. Let me know what do you think about the result. I would like to say Happy new year for all people who celebrate it. Hope this year will bring joy in your life.